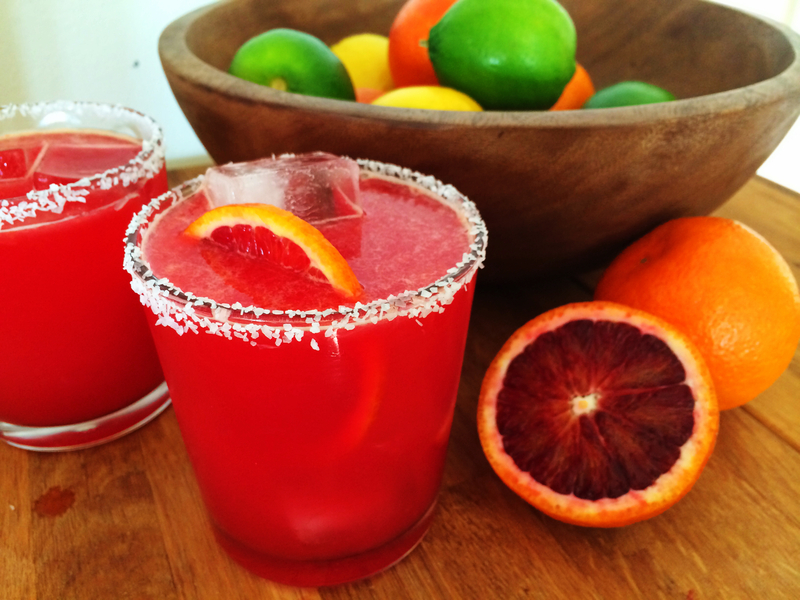 Blood oranges are currently in season so I’ve been doing a little experimenting…and I have found my new favorite cocktail!! I can’t believe it, but I love these even more than my favorite basic fresh margarita! 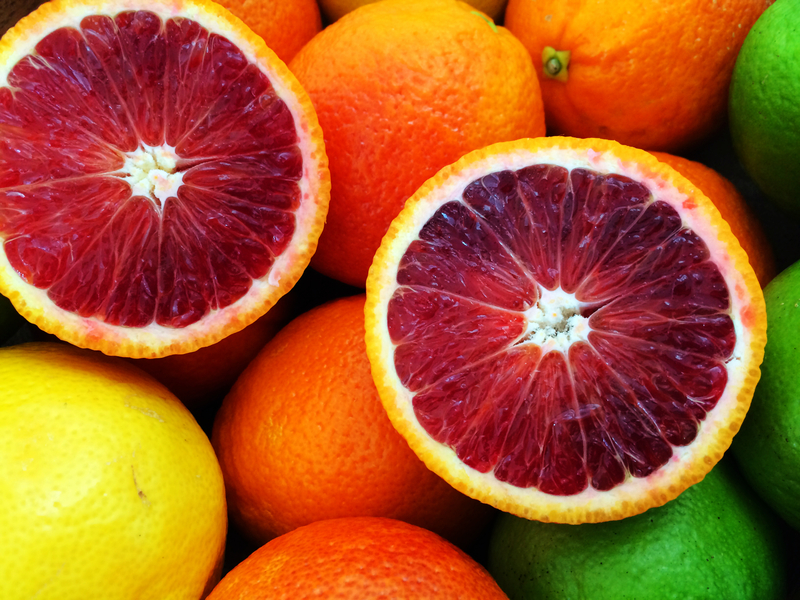 Blood oranges are so sweet and delicious right now – and so pretty. You’ll want to make sure you have a good juicer, like this one, to juice your oranges (and limes). Andrew and I are crazy about this industrial juicer a friend gave us for our wedding – we take our cocktail making seriously :) I’m also enjoying this little mini measuring cup to measure ounces. Salt the rim of your glass using the pictured instructions in this post. Make sure to do this before adding ice to the glass, otherwise the water from the ice will cause the salt to clump. In a cocktail shaker, combine tequila, Triple Sec, lime juice, and blood orange juice. Add a large handful of ice and shake for a good 30 seconds to make sure it’s chilled and refreshing! 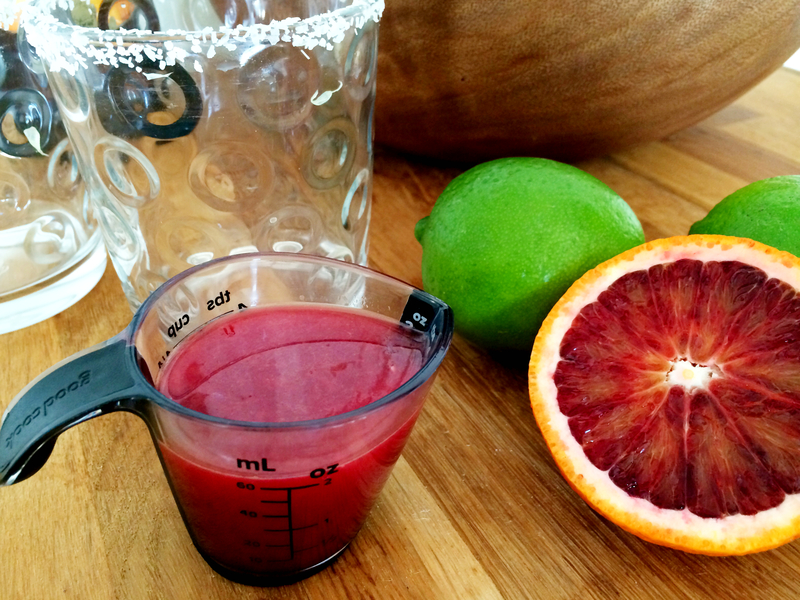 **If you are using a shot glass or want to scale this recipe, just make sure you use 2 parts tequila, 1 part Triple Sec, 1 part lime juice, and 2 parts blood orange juice.